With another SXSW having come and gone, Nardwuar the Human Serviette is undoubtedly back on home turf with a host of new interviews, the latest of which features G.O.O.D. Music upstart Desiigner. The Canadian journalist and the "Panda" MC talk growing up without a bed, his signature moves and ab-libs, and what he was up to when Kanye West gave him the call to appear on The Life of Pablo. Gifts include a 7-inch record from Desiigner's grandfather Sidney "Guitar Crusher" Selby, the soundtrack to Jackie Chan/Chris Tucker classic Rush Hour 2 on vinyl and a poster for the film Kung Fu Brothers. 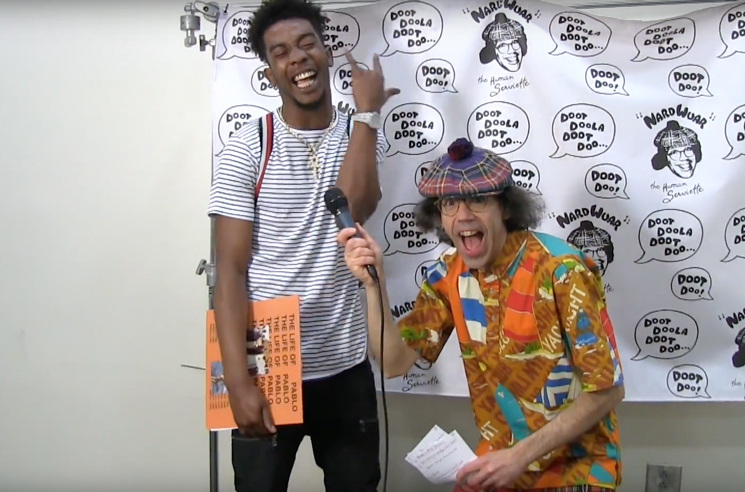 Watch Nardwuar's conversation with Desiigner in the player below. Silk City Get GoldLink and Desiigner for "Loud"